You are the son of a kind, strong, and engaged Father, a Father wise enough to guide you in the Way, generous enough to provide for your journey, offering to walk with you every step. This is perhaps the hardest thing for us to believe—really believe, down deep in our hearts, so that it changes us forever, changes the way we approach each day. I believe this is the core issue of our shared dilemma. We just don't believe it. Our core assumptions about the world boil down to this: We are on our own to make life work. We are not watched over. We are not cared for. When we are hit with a problem, we have to figure it out ourselves, or just take the hit. If anything good is going to come our way, we're the ones who are going to have to arrange for it. 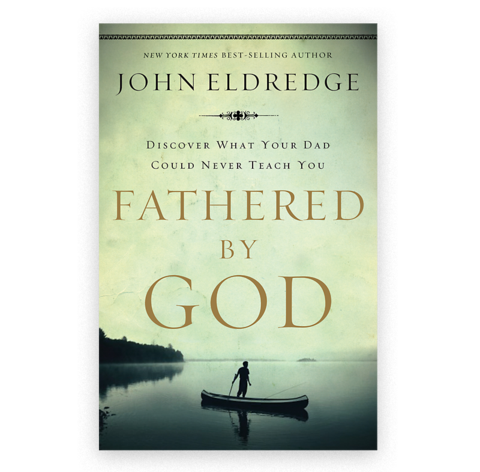 Many of us have called upon God as Father, but, frankly, he doesn't seem to have heard. We're not sure why. Maybe we didn't do it right. Maybe he's about more important matters. Whatever the reason, our experience of this world has framed our approach to life. We believe we are fatherless. Whatever life has taught us, and though we may not have put it into these exact words, we feel that we are alone. Simply look at the way men live. If I were to give an honest assessment of my life for the past thirty years, I'd have to confess the bulk of it as Striving and Indulging. Pushing myself hard to excel, taking on the battles that come to me with determination but also with a fear-based drivenness, believing deep down inside that there is no one I can trust to come through for me. Striving. And then, arranging for little pleasures along the way to help ease the pain of the drivenness and loneliness. Dinners out, adventure gear. Indulging. A fatherless way to live.